I'm away in Tucson, land of the sun, a quiet retreat from the hectic path of the semester, determined to detach a bit from the reality of my life. But, I confess, I am a tech junkie, addicted to my wired life. With a bit of quiet time (after a walk of course), I decided now might be a good time to start digging into finishing my part of our latest Sourceplay chapter, realizing it might suit my break better to work for a couple of hours here and there, rather than a marathon session all day Wednesday prior to Liz and my deadline for the current chapter revision. 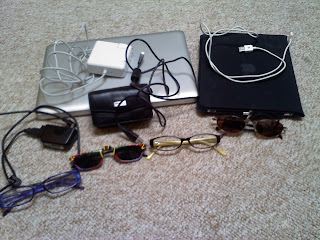 So, as I pull out my computer, I realize that I have packed an inordinate amount of cords, along with glasses for this quiet trip to Tucson. Since my eyes have begun aging, whenever I go to a sunny climate, I find myself needing to pack multiple pairs of glasses. If a computer is in hand, another pair goes in the mix. 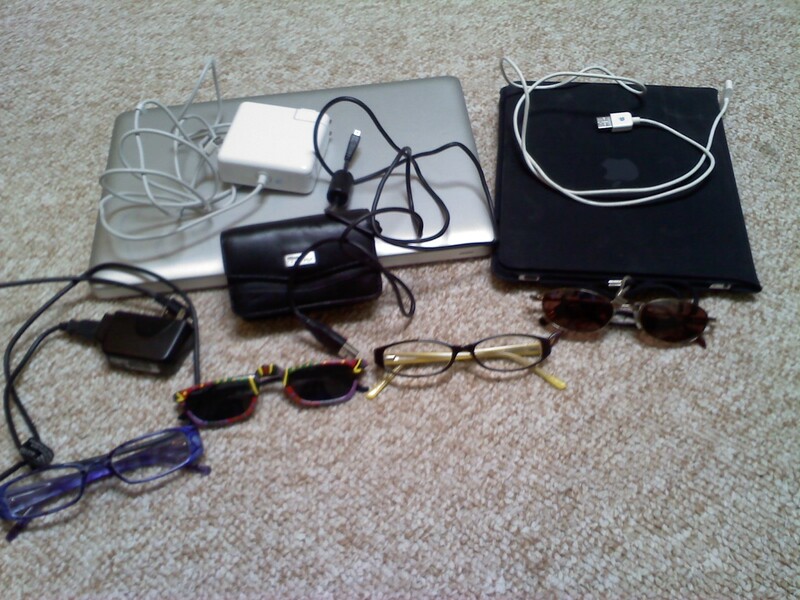 So in the picture, from left to right, are my computer glasses (1.00), sunglass/reading glasses (1.50), reading glasses (2.0), and regular sunglasses (ah no numbers needed for that). As for the technology and the needed cords, I have my phone charger (phone missing since I used that to take the picture), camera and its charger, computer and its charger, and iPad and its connection to the computer to be used for charging. Since I had my computer and could use that for music, I thought carefully about whether I truly needed to take the iPad. After careful consideration, I determined that yes indeed that would be necessary since after all, it meant I didn't have to pack books (have several downloaded on it) and most importantly, I could use my vacation time to finish up my quest to triumph over those Angry Birds. 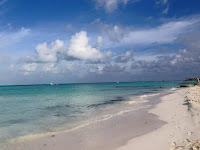 And so, with the Angry Birds defeated, and a bit of prewriting procrastination in the form of this blog and picture, I can now make use of my technological power.